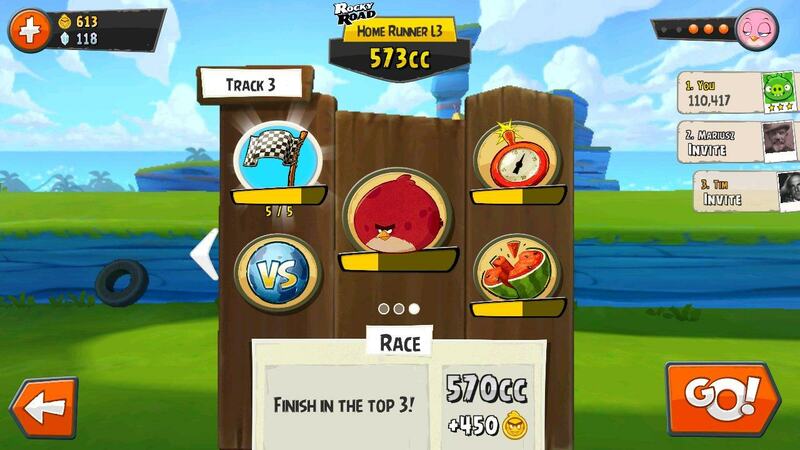 A few words about Angry Birds Go racing game and problems that showed up on some Android devices. We start the game with the red bird and one car. 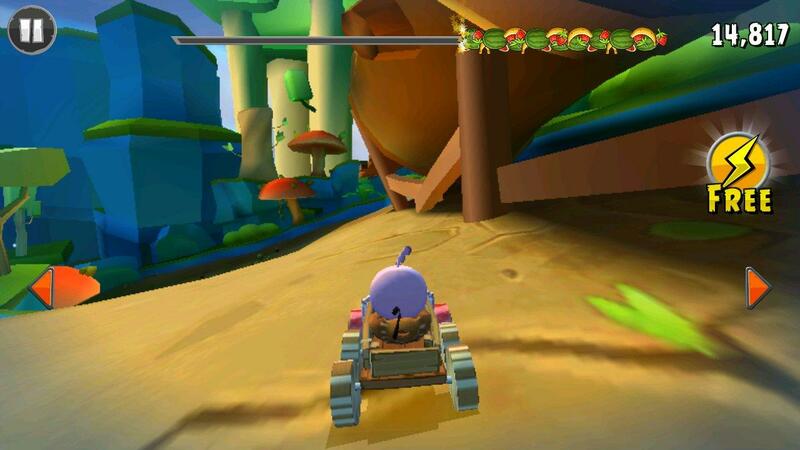 We have a set of levels, and for every level we can recruit one new driver - bird or a piggy. To recruit them we have to beat them in races. To do that we need a good car, so we race in other races to get gold needed for upgrades. We have top 3 races, bomb races where we have to finish in given time avoiding obstacles, fruit gathering races or one vs one challenge races. We can control the car with arrows or by tilting the phone/table on sides. Sometimes the car doesn't respond to our commands - it may be a bug or a hidden feature. 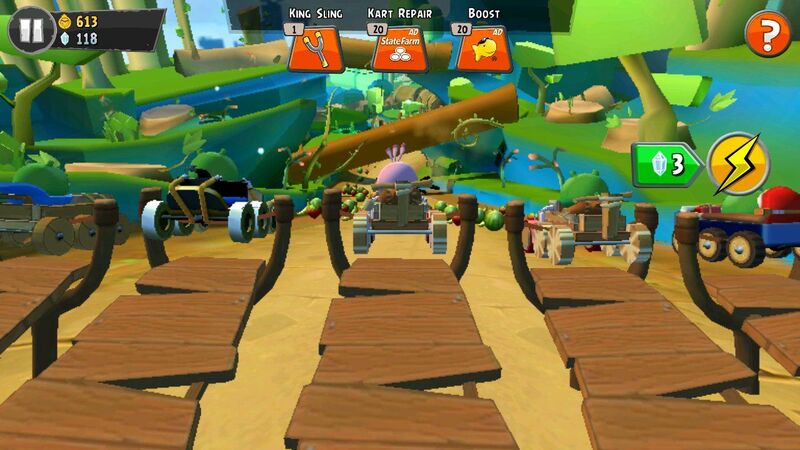 Each driver also has a unique feature, like red bird can accelerate quickly for a moment, bomb bird may blast off drivers that are close to him slowing them for a moment and so on. You also can't play forever. Every driver can race five times before he will have to rest for some time. More drivers we get more races we will be able to run one after another. There is a lot of in app payments for better cars, power-ups and so on. Be sure your kids won't buy a lot of that in the game. The graphics on the screenshot may look low resolution, low quality, but when displayed on small screen (4.5" 1280×720 in this case) it looks quite nice. Important additions are sounds and unique sound sets for every driver. At start - the compatibility issue. 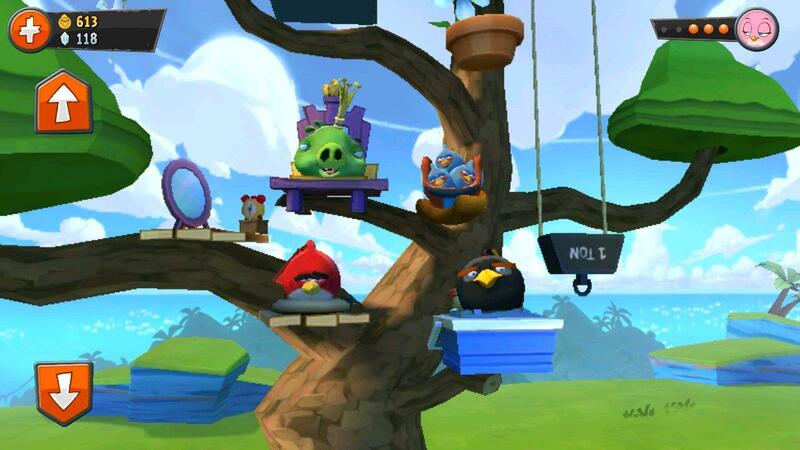 Rovio is aware of the problem that many quality-brands products are marked as incompatible. On the other hand many no name or in general Chinese tablets and phones are marked as compatible. I was able to install and run the game on an ancient 7" Chinese tablet (Android 4.0, 512 MB RAM, old single core CPU). Sometimes the game could lag a bit, but still it worked on such low specs. There are also numerous comments about game crashing, not starting, sound problems and so on. It's surprising to see such problems (it works on some devices with no problems). What can be the cause? Hardware or software differences made by every device maker? Or maybe for example popular in Chinese devices Mali 400 GPU is handled without problems, while other GPUs from better devices have problems? Will be interesting to see what's the actual problem.